Guglielmelli P, Pacilli A, Rotunno G, Rumi E, Rosti V, Delaini F, et al. Presentation and outcome of patients with 2016 WHO diagnosis of prefibrotic and overt primary myelofibrosis. Blood. 2017. [Epub ahead of print]. https://doi.org/10.1182/blood-2017-01-761999. Wang SA, Hasserjian RP, Tam W, Tsai AG, Geyer JT, George TI, et al. 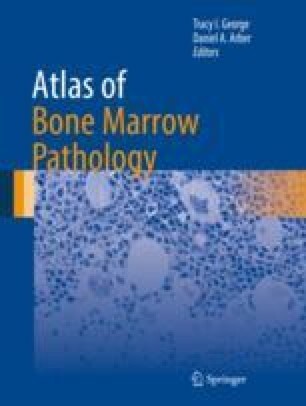 Bone marrow morphology is a strong discriminator between chronic eosinophilic leukemia, not otherwise specified from reactive idiopathic hypereosinophilic syndrome. Haematologica. 2017. [Epub ahead of print]. https://doi.org/10.3324/haematol.2017.165340.